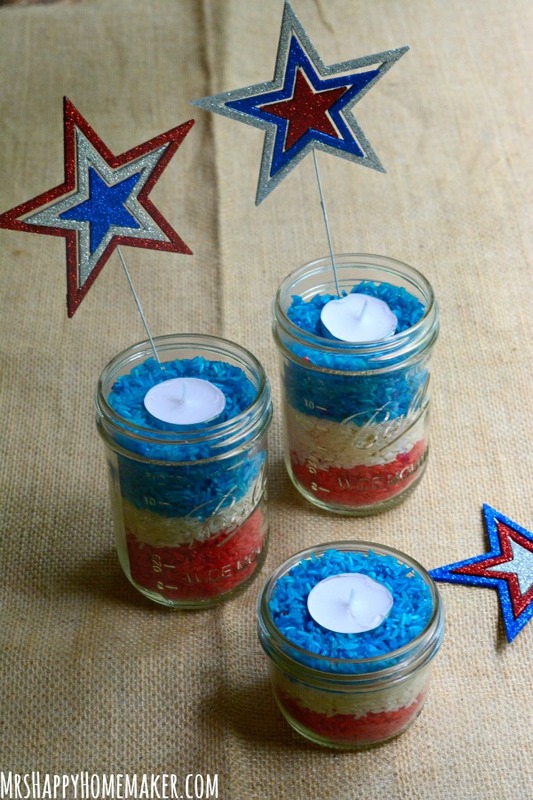 Looking for a fast & easy centerpiece for your 4th of July or Memorial Day table? 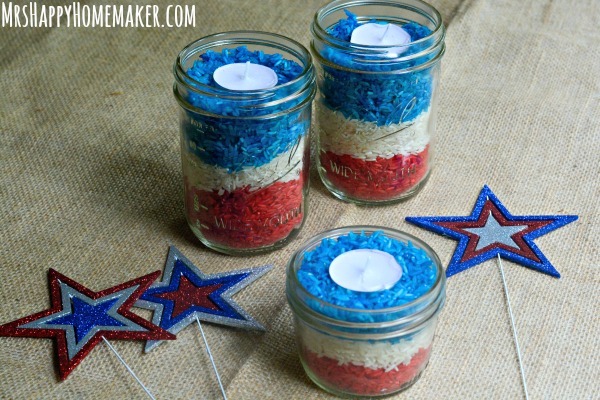 These simple Red, White, & Blue Rice Candles (yes made out of rice!) are right up your alley! So, the 4th of July is in 48 hours, so we can’t really get more last minute than that. So yeah – I guess that would be me a procrastinator… but I’m gonna bet that I’m not the only procrastinator among us. I count you, you, you over there – and you too. Good thing last minute ideas pretty much guarantee simplicity. At least it does here! 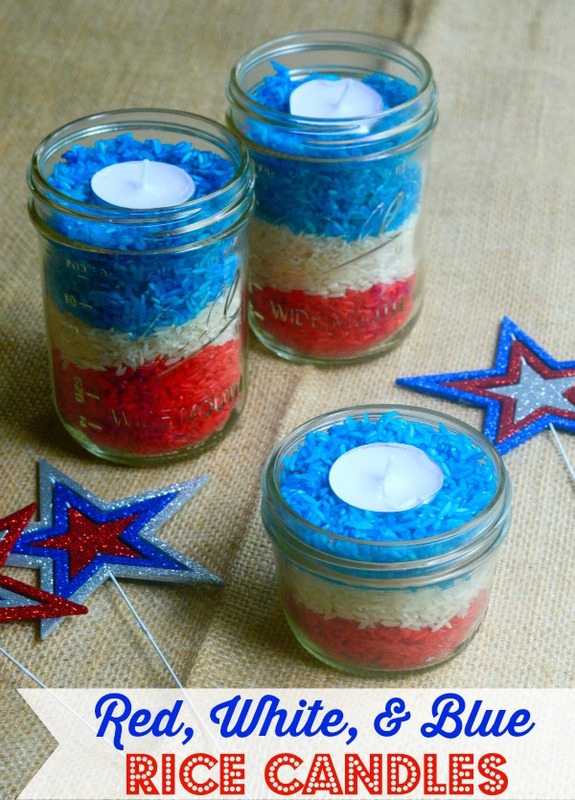 These Red, White, & Blue Rice Candles can’t be any simpler – my 5 year old son even made one with no trouble at all. That’s how easy they are! They’re really fast too – which is a definite plus when we’re on such time constraints. And they’re every bit of patriotic – and are really the perfect centerpiece for your 4th of July table. What do you need to make them? White rice, white vinegar, red & blue food coloring, water, mason jars & tea lights. Easy peasy. Using two separate air-tight containers (or gallon sized ziploc bags) – place some white rice in each one. 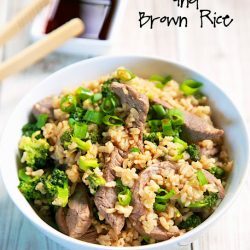 For every cup of white rice you dye, pour in 1 tablespoon of white vinegar & enough food coloring to achieve the color intensity you desire. One container will dye the red rice & the other will dye the blue rice. After you get the rice, food coloring, & white vinegar added – next step is to shake, shake, shake. Shake it all up until all the rice is colored. 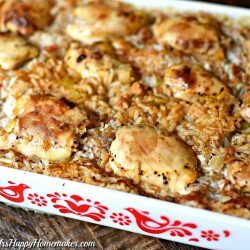 Spread the dyed rice onto a baking sheet & let dry a few hours or overnight. 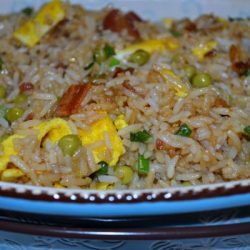 You can also place in the oven on 200 degrees, stirring in 5 minute intervals until the rice is completely dry. To make the candles, layer the dyed red rice – then the plain white rice – then the dyed blue rice. Nestle a tealight on top of the rice. Ta-da!! All done. Told you it was gonna be easy! So cute! I’m sooooo doing this!